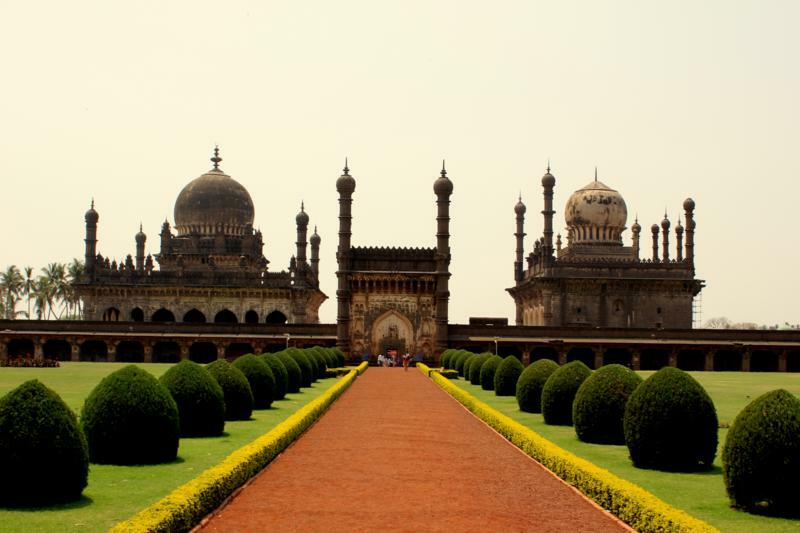 Bijapur or vijapura is one the best weekend destination from Hyderabad, Bangalore and pune. 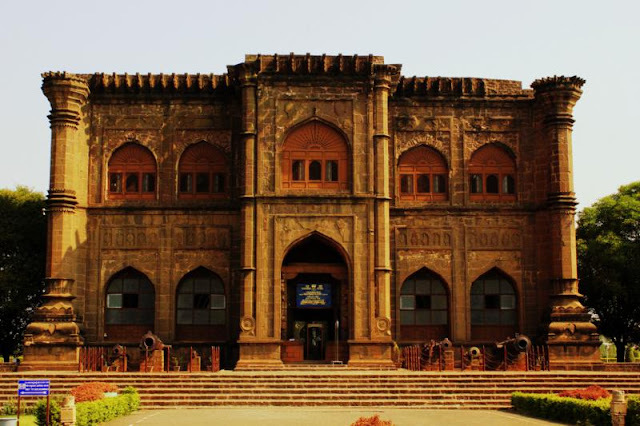 This place is known for its heritage structure, beautiful historic monuments built during the adil shahi period. Bijapur is located at a distance of 165km from Gulbarga, 100km from Solapur(Maharastra) , 200km from Hubli and 200km from Belgaum. There are many buses from Hyderabad, bangalore, Belgaum to Bijapur. KSRTC and VRL travels are the best among the bus service to Bijapur. There are two trains from bangalore and one passenger train from Hyderabad to bijapur. Shivagiri (2km from Railway station). Morning : Visit Golgumbaz,Imrahim Rouza,Malik e maidan,upli burz,Bara kaman - required atleast 3 hours. Post Lunch(at 3PM): Visit Jama Masjid, Mehtar Mahal, Asara Mahal,Gagan Mahal(open after 6), Jod Gumbaz,Taj Bawdi, Shiva. Ensure that you cover all the places except Gagan Mahal before 5PM. Any tour operators in Bijapur ??? 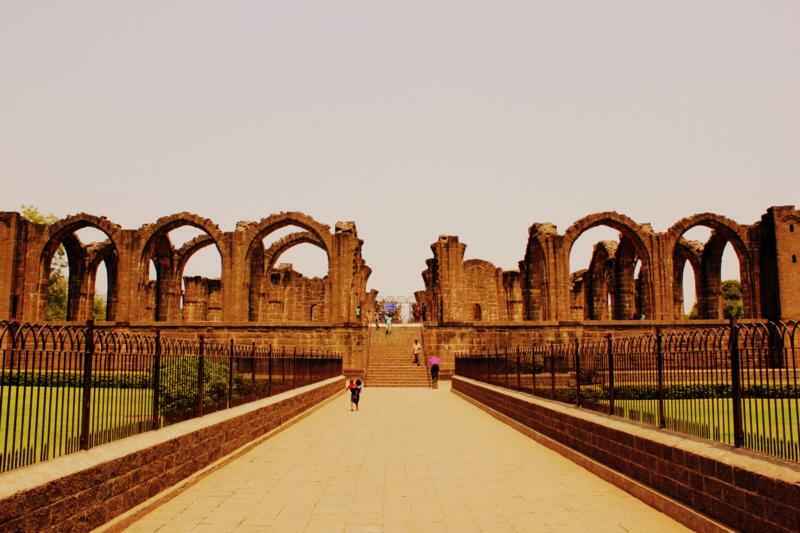 Bijapur is a small town and almost all the places are located in the mainroad. The best way to cover all the tourist places is by Tonga(horse). 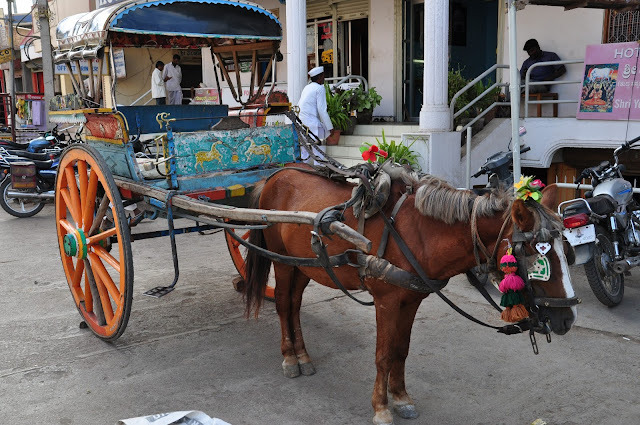 They are many tongas available at Golgumbaz and many tonga people approach you once you enter Golgumbaz. It will be a different experience travelling in tonga. Other wise, if you have a map, you can opt for the city buses or autos. Best way is to visit Golgumbaz, Imrahim Rouza, Malik e maidan, upli burz, Bara kaman by tonga and rest of the places by foot or by auto. Please hire a guide before visiting all the these places. The guide who accompanies us was very helpful and very knowledgeable. If you interested in hiring a guide, please call Ramesh(0984 455 7378). We started from Hyderabad at around 10 PM and reached Bijapur @6AM. We already booked a room at the hotel pearl, which is very near to Gol Gubmaz. After having breakfast the the hotel, we started our trip @10AM. Our first destination was Golgumbaz. From the gate it look like there is only one building with a dome. But we go closer, we can see that there are two buildings before the actual building with the dome(gol gumbaz). The first building is a museum and the second building was small and used by the security. The dome of the golgumbaz is the second largest in the world. Once you enter the gol gumbaz, you can find the tombs of muhammad shah and his family on the ground floor. If you look at the roof, we can able to see only the dome, but not the visiting gallery hangs out of walls into the building. To reach the visiting gallery (whispering gallery) which is located at the seventh floor, we have to climb 50 big steps. 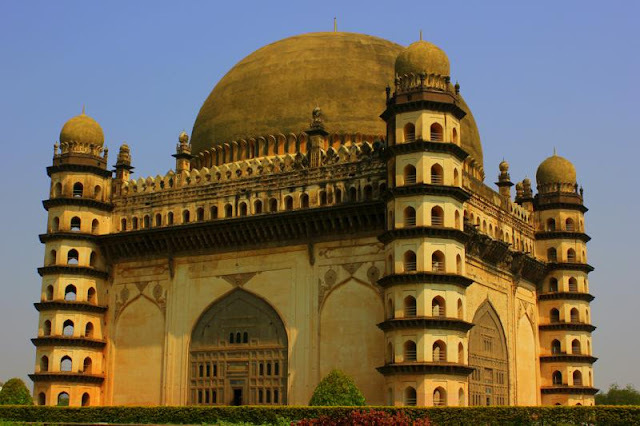 Whispering gallery is one of the main attraction in Gol gumbaz. In the gallery, if someone makes a small sound(say a coin sound), it will be audible to the person very clearly standing opposite of the dome. The diameter of the dome being 144ft. Also, this sound is audible clearly only to the person standing opposite to the sound origin. The sound made in the visiting gallery is not audible to the person located in the ground floor. There are many more interesting things about the architecture, history of Golgumbaz. This was build by Adil shahi-2 in 1626 AD. It has two buildings, a mosque and tombs of sultan. Ibrahim rouza structure was similar to that of taj mahal and many historic structures like charminar, aurungabad taj mahal are designed after this building. Some of the chapters in the quran were inscripted on the walls of the buildings. The windows, doors were beautifully designed. 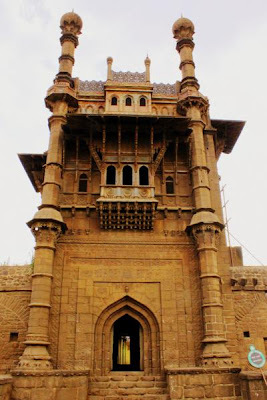 This is located in the west side of the city, around 3km from golgumbaz. 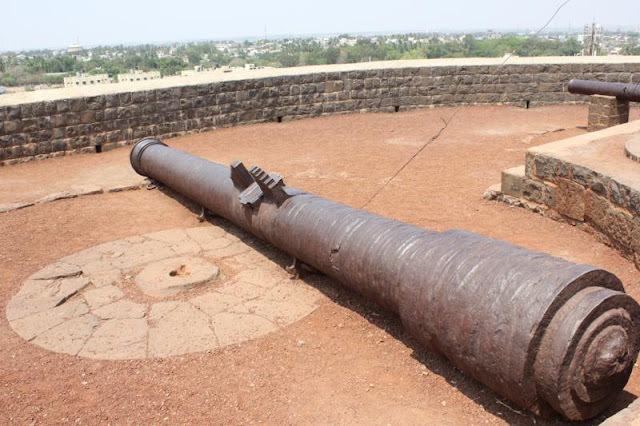 This is one of the largest and heaviest cannon in the world. This weights about 55 tonnes. This is made with a mixture of copper, iron, tin and gold. On the cannon, pictures of elephant and horses are inscripted. 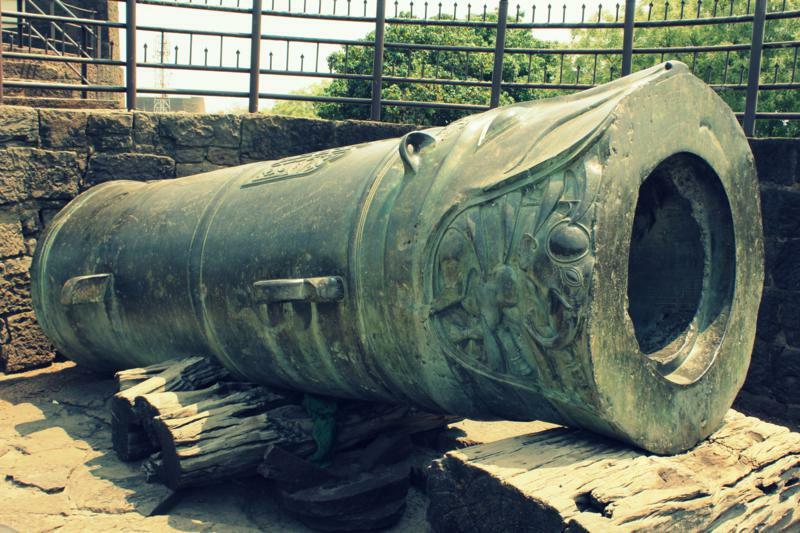 Those pictures tell us that this canon is as heavy as elephant and as fast as horse. This is located few steps away from the malik-e-maidan. This served as a watch tower during the adilshahi period. This is about 80 feet high and we have to climb 30 steps to recah the top. We can get 360 degrees view of bijapur from this tower. There are two big canons on the top of the burz. This building is also called as Ali Roza. This is located near to the bijapur main market. As per the plan, they thought of building 12 arches horizontally and vertically around the tombs. But this building was unfinished. Guess how they build that arches??? First they built a wall from the ground and arch like structure on the top. After that they topple the wall, so that only the outer portion of the arch remains. 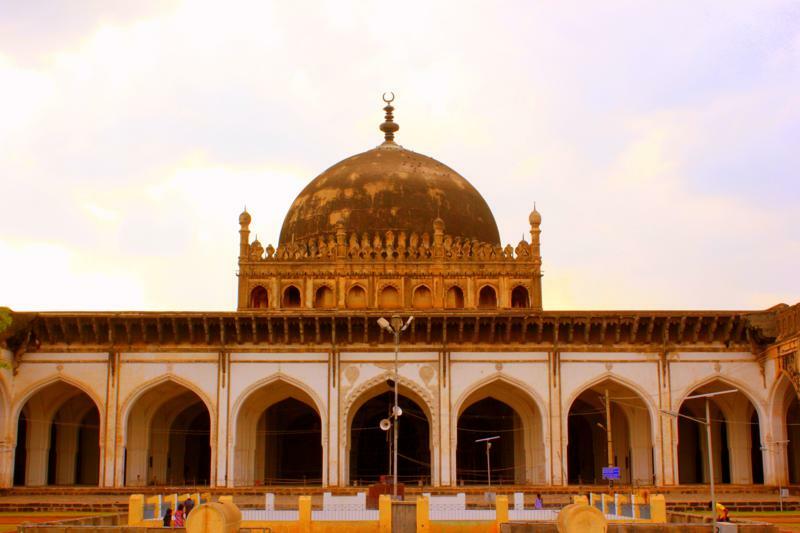 This is one of the oldest and biggest masjid in India. It was build by Ali Adil shah 1. At a time 2200 people can pray in this masjid. 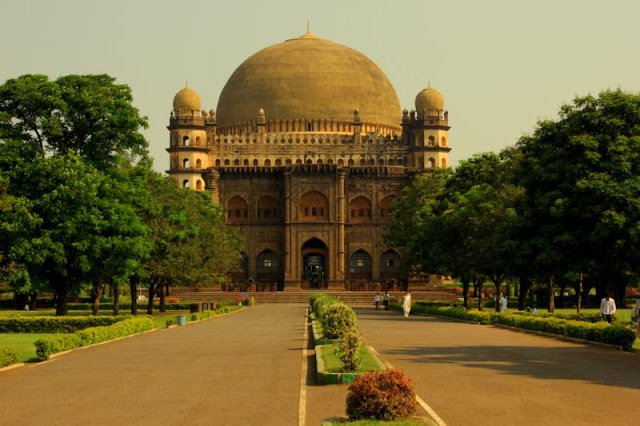 The dome of the masjid is similar to the dome of golgumbaz, but not as big as Golgumbaz dome. This is located on the way between jama masjid and Asar mahal. This is just a gateway leading to the small mosque. The windows, pillars were beautiful carved. There is also a stair case leading to the room above. But currently, that route is blocked. 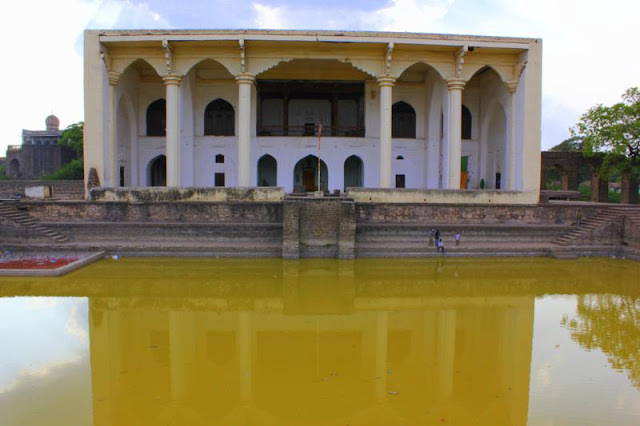 Asar mahal or Dad mahal served as a hall of justice during sutan muhammad period. This is just few steps away from the mehtar mahal. The building was also used to house hairs from the Prophet's beard. The tank located opposite to the building was in a very bad state. This is located near the main market. This served as darbar hall during the adil shahi period. This is opened only after 6 in the evening and between 6AM-8AM. These building are located back side of the gagan mahal. SAT manzil was in very bad state. Jal mahal is a very small building, but this is located just opposite to public toilets. I was scared to take the pictures of jal mahal, some one might think that I'm taking pics of some thing else. 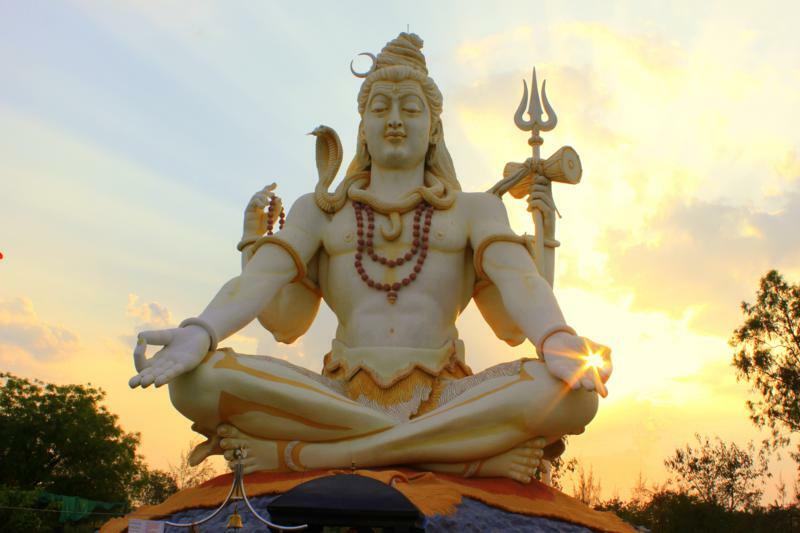 This is located at a distance of 2km from Railway station. The main attraction is the 85ft lord siva statue, which is second largest siva statue in the world. Bijapur seem existing. Love the Gol Gumbaz. Beautiful informative post with lovely pictures. really, Bijapur is a great heritage tourist destination in India. Very well description of how to reach Bijapur and about places around.Thank you for sharing the beautiful pictures. Your blog correctly states that Bijapur is rich in many historical attractions. 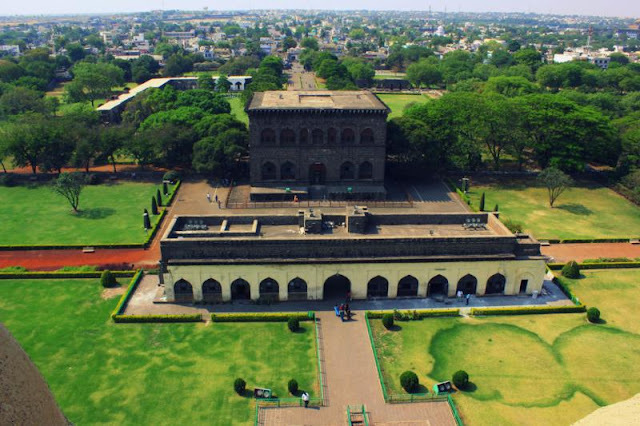 There are many places to visit in Bijapur as it is well known for its historical monuments of architectural importance built during the rule of the Adil Shahi dynasty. 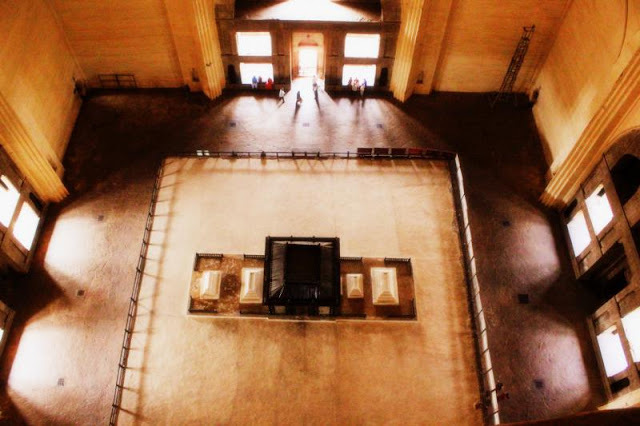 Its a must visit place to explore history.